Fleas are one of the most common parasites your pet dog, cat, or other furry friend will catch, and it can be surprisingly easy to do so. Fleas can jump over 80 times their own height (up to seven inches vertically and 13 inches horizontally) which means all your pet needs to do is be around another infested pet, or near infested dirt or grass outside, and soon, you’ll be struggling to get rid of a flea infestation in your home. The problem with fleas is that they can be incredibly difficult to kill. Their fast breeding and flexible life cycles mean getting rid of fleas in the house can become a challenge. Seeing fleas hopping on your drapery, carpet, or pet is only the tip of the iceberg. What you cannot see are the flea eggs and larvae buried deep in the fibers of your home furniture and pet’s bed, which make up 95% of the entire flea population during an infestation. The best way to get rid of fleas in the house is to treat your pet, home, and yard at the same time. Running a flea comb through your pet’s fur and giving them a bath with a flea shampoo are good starts. This can be especially useful if your puppy or kitten hasn’t met the minimum age or weight requirements for other types of flea treatments. You should only apply a flea comb on your dog or cat when their fur is dry, so it is best to use it before you give them a flea shampoo bath. To get rid of fleas in your pet using a flea shampoo, wash your dog or cat in a tub, sink, or even outdoors (remember to leash them first). Follow the instructions on the packet and be sure to rinse out the shampoo thoroughly, as the product can dry out on your pet’s skin. Bear in mind that while flea combs and baths are inexpensive, they can be labor-intensive, effectively mostly for light infestations, and you will need to repeat the process regularly to make sure you kill all the fleas your pet is hosting. In general, there are three different types of flea treatment options available: oral and topical treatments, or collars. 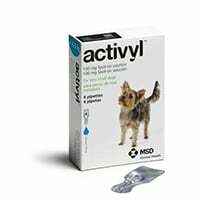 Oral treatments, in the form of flavored or unflavored chewables, tend to be more suited for dogs, since it is notoriously difficult to make cats swallow pills. 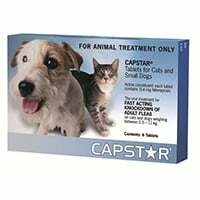 For fast-acting treatment, Capstar, which can be given to both cats and dogs, is perfect as it has been developed to provide almost immediate relief. Capstar kills adult fleas within 30 minutes of administering and is safe to be used up to once per day. There are also monthly flea treatments and these tend to get rid of all the fleas, eggs, and larvae your pet is currently hosting. 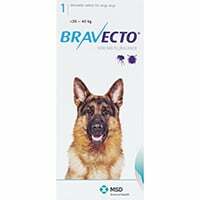 Bravecto is a great monthly flea treatment product for your dog (and cat, as it comes in topical form as well), or you can also use NexGard for dogs (and puppies as young as eight weeks). Bravecto and NexGard not only kill fleas, eggs, and larvae, they also kill the newly emerged fleas before they can lay eggs. They also kill ticks, if you are concerned about that. Bravecto chews (for dogs) provide up to 12 weeks of protection against fleas, preventing new infestations. 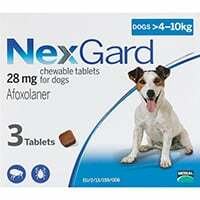 NexGard chewables will kill all the fleas in your dog within 24 hours and protects your dog for up to 30 days against fleas. 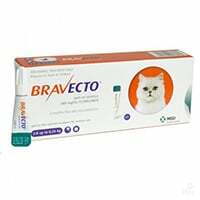 Also referred to as a spot-on treatment, topical medications such as Bravecto, Revolution, Frontline Plus, or Advantage Multi are very popular and effective methods to get rid of fleas, eggs, and larvae, and can be used on pets from as young as seven weeks. This method is preferred when your pets refuse the chews. 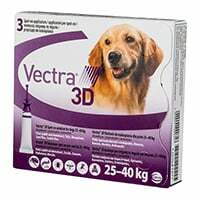 Apply the medication at the base of your pet’s neck or between their shoulder blades. Allow the product to fully dry before letting your dog or cat get wet, and before you let young children or other pets near them. 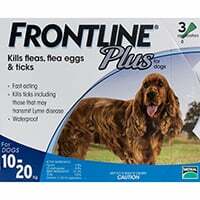 Frontline Plus and Advantage Multi can be used on both dogs and cats to kill fleas, eggs, and larvae, and Revolution for cats and Revolution for dogs kill newly emerged fleas before they can lay eggs. 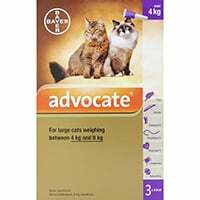 These topical treatments will protect your dogs and cats from fleas for 30 days and are designed to be used once a month, while Bravecto topical (for dogs and cats) provide up to 12 weeks of protection against fleas, preventing new infestations. 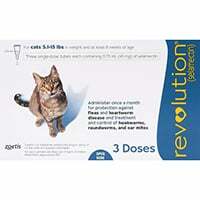 Revolution and Bravecto also have the added advantage of killing ticks, while Frontline Plus for dogs and Frontline Plus for cats not only kills ticks, they kill and repel mosquitoes too. These can be especially useful in the summer months when flea activity is at its peak. The Seresto flea collar is not only effective in killing fleas (and ticks) and its larvae, it also provides one of the safest and longest lasting flea protection for your pet. Both the Seresto dog collars and Seresto cat collars repel fleas and ticks as well, protecting your pet from picking up fleas (and ticks) for up to eight months. Simply put it around their neck as you would a pet collar, with just enough room to fit two fingers under the collar (the collar needs to make contact with your pet’s skin to be effective). To get rid of the adult fleas, their eggs, and larvae, give your house a thorough and vigorous vacuum, making sure to get into all the nooks and crannies, including wall crevices and floorboard cracks. Don’t forget your rugs, carpets, any soft furnishings, and your car (even if you don’t take your dog on rides, you could be carrying fleas on your shoes and clothes). Carefully empty your vacuum—preferably outside—into a plastic bag and remember to seal it before you put it in the garbage can outside. Do this at least every other day until you are certain the infestation is over. Wash all your linen, pet’s bedding, and toys at a temperature of at least 120°F to kill and remove fleas, eggs, and larvae. You may need to do this regularly—at least once a week—until you are sure you have eradicated all the fleas in your home. If there is a higher concentration of fleas in a certain area of your home (likely to be where your pet spends the most time), a flea spray can be particularly effective to target the problem. You should also focus on cracks and crevices—dark areas—as fleas love hiding there. Be sure to remove your pets and children from the area before spraying, and ventilate the area well before returning. You can also use foggers to get rid of fleas in the house, but there are several precautions that you need to take with them. Foggers are flammable so turn off all flames and pilot lights before using. You will likely need one for each room of your house and the fumes are toxic. Cover the area where you stand the fogger with newspapers. Animals and humans will need to leave the house for at least two hours (or as directed)—remember to turn off and cover your fish aquarium—and you should thoroughly air out the house before returning to the area. Giving your lawn a good cut and trimming back all shrubs and trees can help to kill any fleas that are outdoors. Fleas do not like the sun and hot temperatures, and cutting down the grass will enable sunshine to reach the earth, helping to kill the fleas in your yard. Also known as D.E., diatomaceous earth is a natural product, usually in a fine white to off-white powder form. Diatomaceous earth kills fleas by dehydrating them. 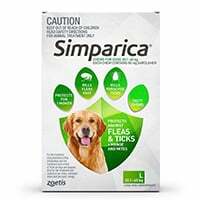 Sprinkle food grade diatomaceous earth around the yard to get rid of fleas in your yard and you won’t have to worry it may harm your pets or children. Sometimes called roundworms or eelworms, nematodes are microscopic worms that are harmless to humans, pets, and plants, but deadly to fleas. 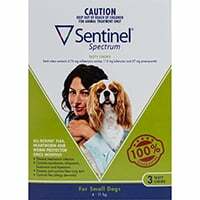 Beneficial nematode solution can be sprayed in the garden (don’t forget the dog kennel and under the decks) and will kill fleas, larvae, and eggs in the grass and soil. These are highly effective in killing and repelling fleas, larvae, and eggs, and are safe to use on your lawn and garden. They can also prevent reinfestation for up to four weeks. They normally come with a spray applicator, which makes it very easy to use around your yard. Ingesting the spray can be harmful so be very careful when using them, especially around animals and children. Once you have been successful in getting rid of the fleas in your house, it is important to take some preventative measures to avoid any future infestations. 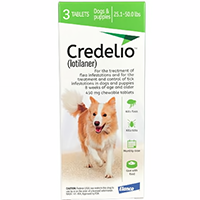 The oral or topical medication, or flea collar that you use when treating your pet for fleas come in extremely handy for preventing future flea infestations as well. Using flea treatments such as Revolution or Frontline Plus monthly (or every 12 weeks in the case of Bravecto) will ensure your pet has continuous protection against fleas. 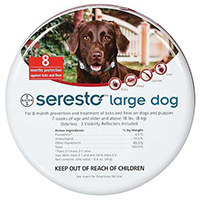 The Seresto flea collar, on the other hand, only needs to be replaced every eight months. Giving your home a regular vacuum keeps the area clean and can get rid of any stray fleas, larvae, or eggs that may have wandered into the house, preventing a full-blown infestation. Keep your grass short and be vigilant about raking and discarding leaves, bearing in mind fleas thrive in shady, cool, and damp areas. Wood piles and bushy growths are also potential hiding spots for fleas. This is especially important if your pets go outdoors, but even if they don’t, remember that fleas can also enter your home through your shoes or clothes. Raccoons, feral cats, skunks, and a whole host of other furry wild animals play hosts to fleas. Try to keep them out of your yard as they will drop fleas, larvae, and eggs that will all too easily attach themselves to your pets. A good fence will help, as will planting certain types of plants around the perimeter of your yard that these wild animals dislike. There are also a number of different types of wildlife repellants on the market. Make sure you look for the natural and non-toxic types to protect your pets, in case they come in contact with them.